In the pic, one of the players is making a sign for the number three, with the thumb and forefinger together. Griffin deleted the tweet a short time later. But some saved screen shots of the attack. The claim quickly fell apart on the bellicose comedienne when people began replying to her tweet with images of black NBA players holding their hands in the exact same way the Covington players had. Because, that particular sign is the hand signal for a made 3-point shot. Not, the symbol of white racism. 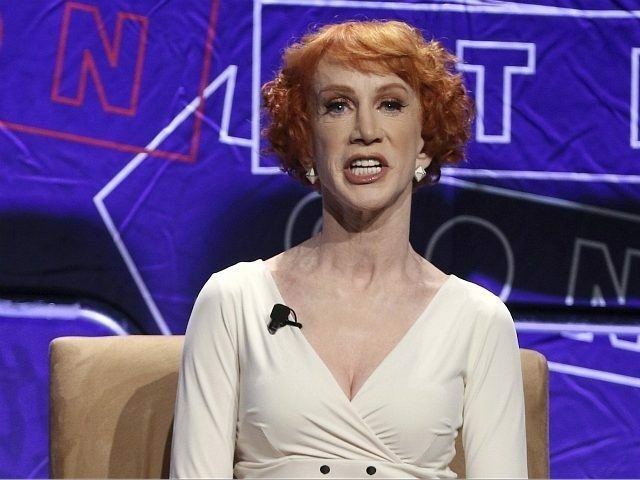 Both conservatives and liberals posted images showing Griffin that her accusation had no basis in truth. Indeed, as Leftist MSNBC host Chris Hayes noted in his reply, the hand signal “almost certainly” meant that a player had achieved a three-point shot. There are any number of photos showing players — especially in basketball — celebrating by displaying the three-point-shot hand signal.